书籍简介: In The No-Nonsense Real Estate Investor’s Kit, noted author and real estate expert, Thomas J. Lucier provides detailed information, step-by-step instructions and practical advice for both beginning and experienced investors, who want to join the ranks of America's real estate millionaires! Preparing purchase and sale agreements. 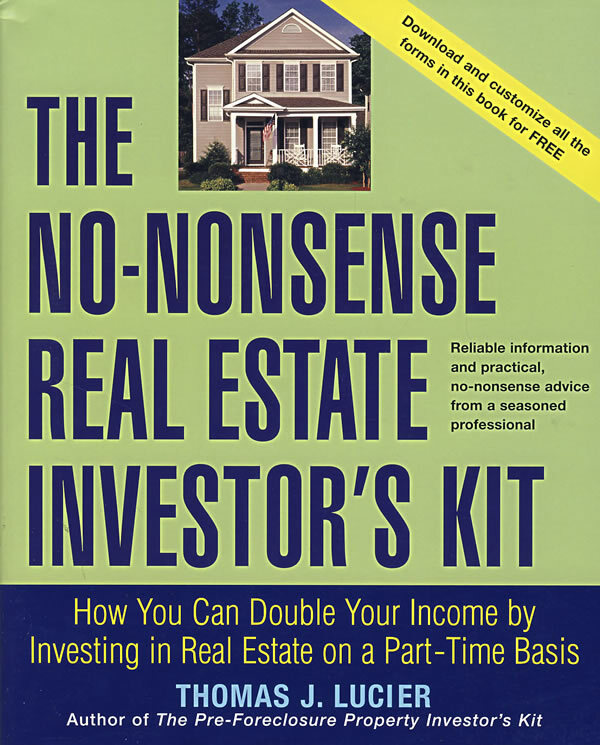 The No-Nonsense Real Estate Investor’s Kit is as close as you can get to a graduate degree in real estate investing without ever going to college. It arms you with the specialized knowledge that you need to compete successfully against the seasoned real estate professionals in your local real estate market. And this book comes complete with FREE downloadable and customizable forms to help you get started on the fast track. Thomas J. Lucier is the President and CEO of Home Equities Corp., a company that specializes in the purchase, turnaround, and resale of small residential and commercial rental properties in the Tampa Bay area. He is the author of two other Wiley books, The Pre-Foreclosure Property Investor's Kit and How to Make Money with Real Estate Options.